Athens, February 2016 / Source: inter.kke.gr. 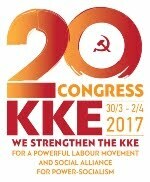 We are inspired and learn from the 100-year history of the KKE, from the 3-year epic of the DSE. The CC of the KKE, the entire party and KNE, honours the 70th anniversary of the foundation of the democratic Army of Greece (DSE). The 2nd Plenum of the CC of the KKE (12-15 February 1946), which began exactly a year after of the signing of the Varkiza Agreement (12th of February 1945).The 2nd Plenum, even if in a contradictory way, was the one that decided to conduct the armed struggle. 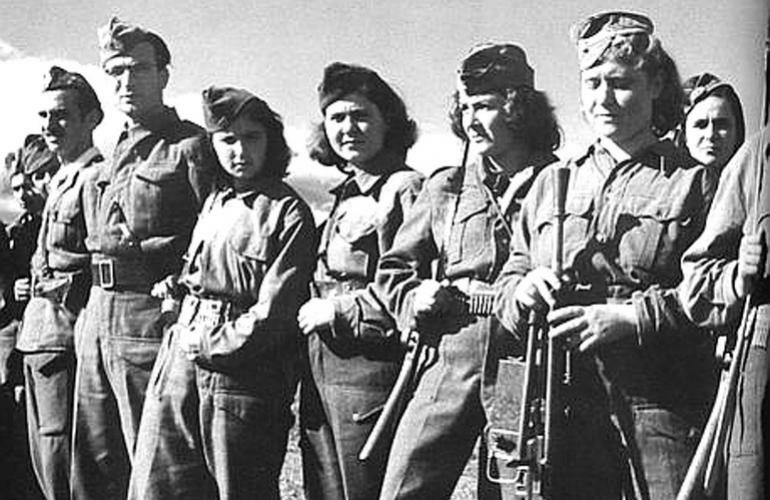 The attack of a group of partisans on the gendarmerie station of Litohoro, on the night of the 30th and early in the morning of the 31st of March 1946, took place on the eve of the parliamentary elections. The foundation of the General Headquarters of the Partisans (28th of October 1946), which is in essence the date of the foundation of the DSE. The official name was finalized on the 27th of December 1946, with the issuing of the Order of the General Headquarters of the Partisans, which set "the name of the partisan forces as being the DEMOCRATIC ARMY OF GREECE". The 70th anniversary finds the KKE waging a stable and decisive struggle for the interests of the working class and popular strata, for their alliance and the regroupment of the labour movement, in the conditions of the counterrevolutions that prevailed in the period 1989-1991 and of the current crisis of the international communist movement. These conditions create additional difficulties for the struggle. They have a paralytic impact and disorient the working class and popular forces, despite the deep and prolonged capitalist economic crisis in Greece, its coordinate outbreak at a global level in 2008, the unstable recovery and the manifestation of repeated crisis phenomena later on, expose the impasses of capitalism, its historically obsolete character. In the framework of this political correlation of forces at a global level that is negative for the communist movement and the peoples, the KKE waged and wages tough social and political battles. It has ideologically, politically and organizationally regrouped itself, having formed a revolutionary strategy for the contemporary conditions and having reinforced its communist characteristics. 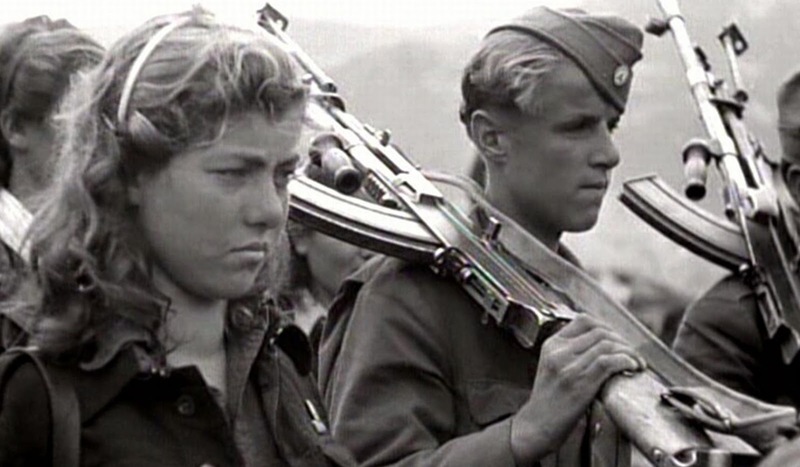 The KKE had developed its deep roots amongst the people initially in the harsh class struggles before the 2nd World War, but especially during the bloody struggles of the 1940s when communist men and women fought and died in the mountains, were executed by firing squads (at Goudi, Pavlos Melas etc. ), in the prisons (Aigina etc. ), the concentration camps (Makronisos etc) and the places of exile. All these struggles, especially the class struggle of the DSE, were factors that lent great strength and developed consciousness of the communist responsibility, so that the KKE could stand upright during the counterrevolutions of 1989-1991, draw strength, maintain its historical continuity, and deal with offensive launched by opportunist factionalism to liquidate it. These factionalists had united with other social-democratic forces in the "Coalition of the Left and Progress" in these efforts. 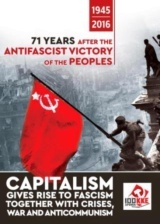 At the same time, the KKE is convinced that learning from the DSE and drawing conclusions that strengthen the class struggle today, the struggle for socialism-communism is the real and substantial way to honour the history of the DSE and the heroic hundred-year history of the Communist Party more generally. This is the reason that the critical study of the history of the KKE has nothing to do with a one-side obsession with mistakes or an opportunist embellishment of the facts that refuses to draw conclusions from the past. The study of the history of the KKE and the international communist movement has been a valuable resource for our party regarding the formation of its strategy. The compass for this is the scientific analysis of capitalist reality, which is a guarantee that the time distance from the historical events does not lead to easy criticisms detached from the entirety of the factors that formed these situations. The KKE does not conceal the weaknesses of the subjective factor that had a negative impact on the outcome of the DSE's struggle. It considers incorrect and misleading, as well as unscientific, to attribute all the problems that emerged to objective causes and to prettify its political line and the political line of the international communist movement. The three-year struggle of the DSE was just, heroic and magnificent. It expressed the interests of the overwhelming majority of the population against the interests of their oppressors and exploiters. It expressed the interests of the working class and its basic allies, the impoverished farmers and poor urban self-employed strata. Bourgeois state power at that time faced the greatest danger to its existence .The struggle of the DSE was the supreme expression of the class struggle in Greece during the 20th century. The KKE is proud of the army of heroes it educated. Thousands of communist men and women gave the last ounce of their strength so that the epic of the DSE could be realized, fighting and marching day and night, often without food, many barefoot, through ice and storms. The activity and self-sacrifice of tens of thousands of dead fighting men and women of the DSE, the wounded, those imprisoned for belonging to its ranks and fighting for its cause and all those who struggled bravely in Greece and in political exile, provide lessons and inspiration both ethically and politically. The majority of them were young people, organized in the Democratic Youth of Greece (DNE) and EPON, and they constituted about 80% of the DSE's overall strength. 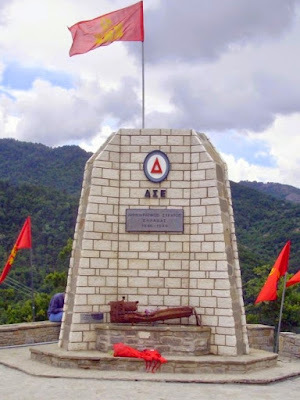 The KKE honours all those men and women who fought heroically, on the mountains of Grammos and Vitsi, on Ipeiros and Thessaly, in Roumeli and the Peloponnese, in Macedonia and Thrace, in Crete, on the islands of the Ionian and Aegean, everywhere where the DSE was active. The DSE confronted the local bourgeoisie and all its political forces (both "rightwing" and "centrist") and their state, and also their allies, like the capitalists states of Great Britain and the USA. Without the latter’s military, financial and political backing, the bourgeois class in Greece could not have been victorious. It is characteristic that in the final battle on Grammos, the DSE deployed about 12,500 fighters with light weapons, while the government's army was calculated at being over 100,000 men, with 120 artillery pieces, many tanks and airforce support. This unequal class confrontation makes the legacy of the DSE even more valuable in political and moral terms. The DSE was a people's army. It was based on the organizational and military experience of ELAS'sstruggle during the occupation and December 1944. The EAM-led resistance and the crucial and objectively class-based conflict of December had left an important militant legacy in the people's consciousness, and in terms of the forms of organization and struggle that could be used. The great strength of the DSE was its bonds with the people, especially in the regions of Free Greece. The poor popular masses were the ones who provided the DSE with all kinds of assistance, fighters, food and clothes; they assisted in the construction of fortifications. Intelligence gathering, the organization of the people's militia. They found support and strength in the DSE the popular institutions for the organization of social-political life (people's councils, people's militias, people's courts) in the areas where the DSE was in control. These institutions dealt with a plethora of problems, such as the protection of children and saving them from bombings and enslavement, their education and the establishment of schools. This is the reason why the bourgeois stated carried out the forced deportation of hundreds of thousands of people from the villages, which they hypocritically described as being "affected by the rebels", in order to isolate the DSE from the basic source of its strength. In contrast with the bourgeois army, the characteristic feature of the DSE was its struggle for the just cause of the people, its self-sacrifice and conscious discipline. It combines the militant implementation of orders with the democracy of assemblies at its various levels, where the lower-ranked criticized the higher-ranked and vice versa, where assessments were made about military operations in a spirit of self-criticism. Thousands of military leaders at all levels emerged from the ranks of the DSE, such as: Giannis Alexandrou (Diamantis), Harilaos Florakis (Yiotis), Nikos Triantafyllou, Stefanos Giouzelis, Panos Zaras, Kostas Karagiorgis, Gianis Podas, Kostas Koligiannis,(Arvanitis), Thanasis Genios (Lassanis), Pantelis Vainas, Giorgos Ilaidis (Sofianos), ), Nikos Theocharopoulos (Skotidas), Tassos Petsas, Romas Petsos, Giorgis Vogias (Kartsiotis), Antonis Aggeloulis (Vratsanos), Kosmas Spanos (Amyntas), Giorgos Giannoulis, Thomas Palas (Koziakas), Dimitris Giannakouras (Perdikas), Polychronis Vais (Achilleas Petritis), Ilias Alevras, Kostas Xydeas, Michalis Papadamos (feriaos), Manolis Stathakis, Aristos Kamarinos, Kostas Tsolakis, Thymios Kapsis (Anapodos), Giorgos Giorgiadis, Fotis Sgouros, Gerasimos Grigoratos (Astrapogiannos). The role of the Officers' School of the DSE in producing military cadres, which also contributed to the development of their military capabilities, must be underlined. Officers that came from the bourgeois army also served in the DSE, such as: Giannis Malagaris, Giorgos Samaridis (Logothetis), Giannis Kilismanis, Stefanos Papagiannis, Kostas Kanellopoulos, Pavlos Tompoulidis, Nikos Terzoglou (Pyravlos), Thodoros Kallinos (Amarmpeis), Kostas Basakidis, Christos Stefopoulos, Dimitris Tsitsipis, Theodosis Zervas, Vasilis Venetsanopoulos, Giorgos Kallianesis (Messinis), Giannis Manias, Dimitris Koukouras, Thymios Zoulas, Giorgos Katemis, Kostas Antonopoulos (Kronos), Alekos Papageorgiou, Giorgos Kontalonis. 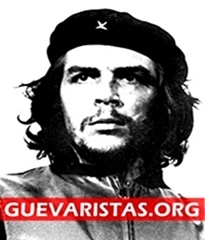 The role of the Political Commissars was a decisive factor its functioning, in inspiring its fighting men and women, in their education and political stance towards the civilian population and also towards the conscripts of the bourgeois army. Many Political Commissars emerged. The following can be mentioned indicatively: Nikos Belogiannis, Giannis Salas, Vangelis Rogkakos, Giorgos Erythriadis (Petris), Mitsos Vamvakas, Leonidas Stringos, Nikos Kanakaridis,(Lampros), Kostas Loules, Kostas Laoutaris, Nionios Traiforos, Panagiotis Yfantis (Iraklis), Kostas Karakanis (Takis), Nikos Kliafas, Petros Iosifidis, Sonia Eleftheriadou, Roidis Michalakis, Katina-Tsveta Andreopoulou, Eleftheria Ioannidou, Kosmas Boukovinas, Lydia Kalaitzidou, Aspasia Daskalopoulou, Antonis Antoniadis (Simos), AristeidisTheocharis, Xrysoula Gogoglou, Gianna Trikalinou, Manolis Fragkiadakis, Maria Veliou (Parasekevoula), Dimitris Kyrlas, Melpomeni Dimanopoulou, Athanasia Kalaitzidou. The ideological-political work of the DSE served its military-political goal. It developed substantial publishing activity as well. The following magazines and newspapers were published:"Exormisi ", "Pros ti Niki", "Dimokratikos Stratos", "Neos Machitis", "Agrotikos Agonas", "Machitri", "Agonistria ", "Partizana. "Apart from the central printing press of the DSE, each Divisional headquarters produced its own daily news bulletin and newspaper. Special newspapers were published in the languages of the Slav-Macedons, and of the Muslims from Thrace. In this period the following newspapers were also illegally published: 'Rizospastis" in Athens and Piraeus. "Laiki Foni" in Thessaloniki. "Lefteria"in Volos. "Laiki Foni" in Larissa. Illegal party newspapers were also published in other regions, such as "Morias" in the Peloponnese, "Ginaioi" in Samos etc. The publishing house "Free Greece" was also established, which published hundreds of books in print runs of thousands. The radio station "Free Greece" began to broadcast in July 1947, initially from Belgrade and then later from Bucharest. Aphrodite Nodara (Eleni Makri) was assigned responsibility for it by the KKE; its editors were Giorgis Angourakis (Alekos Psiloreitis), Periklis Kalodikis, Dimitris Hadzis, Mariana Veaki and its announcers were Takis Leivadas and Gianna Kalodiki. Ideological lessons, lectures and speeches were organized for the fighters of the DSE. These focused on lifting their morale and informing them about the current political developments and tasks of the DSE. Lessons on the Programme and Statutes of the KKE were also held. Units of the DSE distributed or fly posted the print material in villages and cities. Handmade loudspeakers were also used by DSE units to address themselves to the soldiers of the bourgeois army, calling on them not to fight against the militant people. When the conditions allowed, especially on anniversaries, various units of the DSE in the liberated areas organized evenings of entertainment with theatrical performances, poetry recitals and songs. Theatre troupes were organized and even a film crew. An Enlightenment Bureau of the DSE's Headquarters was set up to organize and conduct political enlightenment work. At a central level the following, amongst others, participated in this work: Takis Mamatsis, Panagiotis Mavromatis, Zinon Zorzovilis, Parisis Aggelidis, Vasos Georgiou, Nikos Simitzis, Paschalis Paschalefski, and Apostolos Spilios. The participation of women in the activity of the DSE was significant. They constituted 1/4 of its overall strength.m 1,027 women reached officer or NCO ranks in the DSE. By the end of 1948, women constituted over 20% of the people's organs and institutions in Free Greece. In Greece, and elsewhere, in this period, where the reactionary view that women were inferior prevailed and where women's inequality was a legal fact (they still did not have the right to vote), the DSE elevated the working woman and the young women from villages into playing a leading role in the political developments, something that paved the way for a better life. The women of the DSE proved themselves to be the equals of their male comrades. The special work regarding women that was carried out in the ranks of the DSE and was expressed through the creation of the "Pan-Hellenic Democratic Union of Women", whose President was initially Chrysa Chatzivasileiou and then later Roula Koukoulou, contributed to this. The women of the DSE provoked awe in the ranks of the larger and better equipped bourgeois army comprised entirely of men. The "glorious" Greek-British-US army felt humiliated when the women of the DSE, together with the men, won battles. It shook their morale. At the same time, women contributed to the People's Militia and also behind enemy lines through the distribution of propaganda, the organization of the people's protests, and also contact for intelligence gathering. Thousands of heroic women emerged from the DSE, both as fighters and also as military commanders and political commissars. It is impossible to single out one of the bright personalities of women fighters, because the apparently different stories of blood, self-sacrifice, faith in ideals are united in a single story, that belongs to the thousands of men and women who honoured the KKE, joined the DSE, lived and sacrificed themselves heroically for the people. There follows a list of some of the honoured dead heroines of the KKE in the mountains and cities: Eirini-Mirka Gini, Vangelitsa Kousiantza, Athina Benekou, Vangelio Kladou, Maria Boraki, Maria Lioudaki, Antzouleta Merkouri, Dionysia Grigoratou, Eleni Oikonomou, Iordana Slatnikou, Germania Paikou, Tasia Konstantinidou, Eleni Chroni, Peristera Vlachou, Polyxeni Kanonidou, Koula Eleftheriadou, Ismini Sidiropoulou, the gypsy Magdalene Panagiotidou and thousands of others. The contribution of the DSE's medical service made an irreplaceable contribution to the struggle. At the beginning it lacked doctors and nurses, and even the most basic equipment. They used cloths and shirts for bandages, while they collected cotton extracted by the villagers from pillows and quilts. Hospitals were built through the tireless efforts of the fighters and supporters of the DSE, the largest one was located in Aspri Petra in Grammos, and other ones were built in the Prespes region, Taugetos, Vitsi, Psiana, Zagori, Spinasa and elsewhere. Wards were built, even using tree trunks. At the same time, the lack of nursing staff was dealt with, as far as possible, through the creation of nursing schools.152 members of the DSE graduated from the Middle Medical School of the DSE with the rank of Lieutenant of the medical Service. Later, 75 others also graduated. Over 300 men and women graduated from the Nursing School. Doctors and some medical students played a decisive role in the organization and functioning of the DSE's medical Service. Amongst them the Professor of Medicine, Petros Kokkalis, the doctors Giorgos Tzalamoukas, Nontas Sakellariou, Nikos Kokoulios or Paliouras (the DSE' first doctor), Giorgos Nedelkos, Takis Skyftis, Vasilis Dadialaris, Avgi Ktena, Kaiti Nikolettou-Gizeli, Kaiti Potiri, Vasiliki Kritiski, the student Patra Mona (Spengou).Volunteer doctors from other countries also contributed, like the Hungarian doctor Tibor, as well as doctors from the bourgeois army that joined the DSE, like Panagiotis Petropoulos. The small number of doctors, with the assistance of nursing staff and other personnel, despite the terrifying shortages, the complete absence of the suitable conditions for their work, worked miracles in their constant struggle against death. They were able to heal and save thousands of the DSE's fighters. They healed around 12,000 fighters in the Grammos-Vitsi region alone. The achievements of the doctors and medical staff of the DSE flowed from their faith in the just cause of their struggle. Many sacrificed themselves, especially stretcher bearers , many of them women, and also doctors. Many artists and scientists, and men and women of letters participated in the ranks of the tens of thousands of fighters of the DSE, like the writers Dimitris Hatzis, Fotis Aggoules, Giorgis Sevastikoglou, Takis Adamos, Giorgis lamprinos, Dimitris Ravanis-Rentis, Mitsos Alexandropoulos, Alexis Parnis, Nikos Kytopoulos, Kostas Pournaris (Bosis), Anthos Filitas (Anthimos Hatzianthimou), Vasilis Pigis, Nikos Papandreou, the historian Giorgis Zoidis, the director Manos Zacharias, the photographer Apostolos Mousouris, the actors Giannis Veakis, Antonis Giannidis, the painters Giorgos Dimou, Giorgos Goulas and many others. The following supported and assisted the DSE from abroad: the sculptor Memos Makris, the philologist Giorgis Athanasiadis, the writers Elli Alexiou, Melpo Axioti, Theodosis Pieridis, Elli Lampridi, Thrasos Kastanakis and many others. Others in exile and prison supported the DSE such as the composer Mikis Theodorakis, many writers and poets, such as Giannis Ritsos, Kostas Varnalis, Aggelos Sikelianos, Tasos Leivaditis, Themos Kornaros, Kostas Giannopoulos, Nikiforos Vrettakos, Manolis Anagnostakis, Viktoria Theodorou, Did Sotiriou, Andreas Fragkias, Michalis Katsaros, Stratis Doukas, Giorgos Kotzioulas, Menelaos Lountemis, Nikos Karouzos, Nikos Kabbadias, Giorgos Valetas, Kostas Kalatzis 9Thessalos), Alki Zei, Galateia Kazantzaki, the engraver A.Tassos, the painters Giorgis Farsakidis, Giannis Stefanidis, Valias Semertzidis, Vasilis Armaos, Dimitris Gioldasis, Thomas Molos, Christos Daglis, Vasilis Vlasidis, Vaso Katraki, Katerina Hariati-Sismani, the critic Foibos Anogeianakis, the composer Alekos Xenos, the director Nikos Koundouros, the university professor Giannis Imbriotis, the educational theorist Roza Imvriotis, the art critic Markos Avgeris, the historians Giannis Kordatos and Dimitris Fotiadis the actors Manos Katrakis, Aleka Paizi, Tzavalas Karousos, Titos vandis, Aspasia Papathanasiou, Olympia Papadouka, Malaina Anousaki, Argyro Vokovits, Kaiti Diridoua, Taugetis, Nikos fermas, Giorgos Giolasis, Kostas Baladhmas, the actor and writer George Sari, the lyricist Kostas Virvos, the composer Thodoros Derveniotis and many others. Thousands of militants in the prisons and concentration camps wrote poems or expressed their support for the people's struggle through paintings and drawings. DSE's struggle inspired foreign poets of a global standing, like Nazim Hikmet, Pablo Neruda, Paul Eluard and others. Today the DSE's struggle inspires many and also annoys the class enemy and those that have compromised with it. The bourgeoisie and those involved in its mechanisms have unleashed enormous slanders against the DSE. The bourgeoisie and its supporters slander and distort the struggle of the DSE, because they well know that it represented the highest form of struggle, in a period when a class conflict over power was being waged in an objective sense. They polemicize against it because their interests lie in concealing the source of all injustice, i.e. the contradiction between capital and wage labour. Their interests lie in impeding the working class and popular forces from realizing the necessity and timeliness of socialism. The accusations about EAM being guided by “foreign, Bulgarian agents” and the talk about "communist gangs" of previous decades is again being regurgitated by fascist Golden Dawn, a component part of the rotten bourgeois political system. This is being regurgitated by all those that admire the collaborationist security battalions and the Hitler’s' stormtroopers and have theories about "racial purity" and carry our murderous attacks against the people and militants. 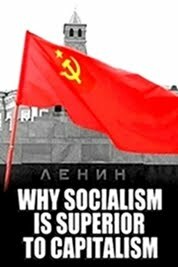 We also have those who seek to turn history on its head and promote the ahistorical unscientific and anticommunist theory of the "two extremes" in order to identify communism with fascism, Stalin with Hitler, Stalin who led the titanic struggle to crush the Nazi monster. 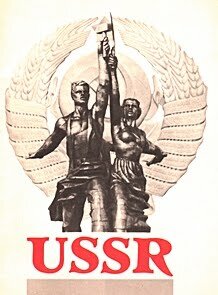 The Soviet Union contributed to this struggle with 20 million dead and around 10 million injured and disabled. 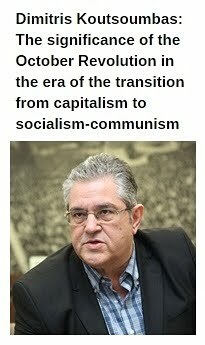 The obsession with alleged mistakes, the allegedly futility of the struggle, the ideological construct that says that the armed struggle was adventurism on the part of the leadership of the KKE and of the General Secretary of the CC, Nikos Zachariadis, as well as a sophisticated anti-communism are component elements of bourgeois propaganda, which are also being reproduced by opportunism and its various formations as regards the reasons for the DSE's defeat and also in relation to the KKE's activity. And opportunism conceals the violence of the bourgeois state, which is expressed by its laws, institutions and organs of power. It conceals the multi-faceted violence carried out by the capitalists against the workers and employees in the workplaces. Such positions demonstrate that their supporters are in reality in favour of the reactionary and irrational theory about the "end of history", in opposition to the fact confirmed many times over that historical development is governed by the laws of class struggle. Every worker, every young person that begins their lives in the jungle where the rule of the exploiter prevails has every interest in understanding, with the assistance of the KKE, the cause and goal of the ideological offensive of those that defend capitalist exploitation directly and indirectly. They seek to attack the class struggle today, in order impose capital's strategy without endangering the capitalist system and the perpetuation of the exploitation of man by man. Irrespective of the varied expressions of opposition to the DSE's struggle, the varied slanders and distortions, there is a unified strategy: The working class and popular strata must remain helpless in the face of the consequences of the contradictions, the decay and barbarity of capitalism or to satisfy themselves with the dead-end struggle of allegedly correcting it. No slanderous, anticommunist and opportunist offensive can obscure the struggle of the KKE, the struggle of the DSE, their courage and moral standing. It is our duty to disseminate the historical truth even more widely. The younger generations must come to know of the struggle of the Democratic Army of Greece. National Liberation Movement (EAM) was founded on the 27th of December 1941 in occupied Athens at the initiative of the KKE. Free Greece. Areas of Greece that were under the control of the DSE. The DSE waged a necessary struggle. The bourgeois side had lost its ability to manipulate the majority of the people to a great extent. It was stigmatized by either its collaboration with the occupiers, or its flight, or its absence from the liberation struggle. In contrast, the KKE, as the heart of EAM-ELAS, of the people's armed struggle during the occupation period, had won over the largest section of the people. Objectively, the correlation of forces between the two basic rival classes, the bourgeois class and the working class, had changed. The entrapment of the KKE and EAM-ELAS in the British High Command of the Middle East (1943), in the Agreements of Lebanon (1944) and Caserta (1944), the defeat of December 1944, as well as the unacceptable Varkiza Agreement, had not brought about the change in the correlation of forces that the bourgeois forces had hoped for, despite a certain regroupment of the bourgeois state that was achieved after December, mainly thanks to the intervention of G. Britain. Objectively, the intense armed class confrontation sharpened after the liberation which would either have led to overthrow of bourgeois and through the isolation of its foreign backers or to the defeat of the popular forces, to the isolation of the KKE and to the restabilization of bourgeois power. For all the above reasons, the claim that has been put forwards up until today is completely baseless i.e. that if the bourgeois side had observed the Varkiza Agreement then there could have been basically smooth democratic developments in Greece. The same baseless and dishonest claim, which exclusively targets the KKE, is the one that says that the KKE and people would have benefited if EAM had taken part in the parliamentary elections of the 31st of March 1946. The persecution of thousands of supporters of EAM and ELAS, who were forced to go to the mountains and others to become political refugees (in Boulkes and elsewhere), the exoneration and organic co-option of the security battalions and other collaborationist forces into the armed and administrative apparatus of the state, the presence of thousands of British soldiers after 1945, all together along with other things were the conditions for capitalist regroupment and reconstruction, after the major destruction of the war, the black market and other consequences. Thirteen months after the Varkiza Agreement, the following situation had been formed at the expense of the EAM movement.1,289 murders, 6,671 woundings, 31,632 acts of torture, 18,767 acts of looting and imprisonment, 84,931 arrests, 509 attempted murders, 265 rapes. The gangs of Sourlas, Katsareas, Manganas, Tsaous Anton, the "X" units and dozens of other groups ran riot all over Greece, collaborators with the occupiers and paid killers, which the bourgeois political parties and state apparatus protected with assistance of the British army. The elections on the 31st of march 1946 were held in these conditions and with adulterated electoral lists. The participation of the KKE and EAM in the 1946 elections would have legitimized a deeply anti-people situation and would have fostered illusions that it was possible, via elections, to overturn the predetermined strategy of the domestic and foreign capitalist forces to break the KKE and EAM, to decimate the people's movement without a fight . In parallel to this, after the elections of the 31st of March 1946 and the rigged referendum of the 1st of September concerning the King's return, state repression was buttressed even further by the 3rd Decree (1946) and law 509/1947 "on the dissemination of ideas that have the aim of overthrowing the existing social system" etc. In the face of the dilemma "submission or organization of the struggle and counterattack", the people's movement chose the latter. The DSE demonstrated that the mistakes of the KKE were not due to any intention to compromise or be co-opted.The DSE was the clearest demonstration that the social contradictions cannot be tamed by ideological constructs about "national unity" and the alleged end of class as a defining category.The DSE saved the honour of the people and the KKE. The struggle of the DSE was an internationalist struggle. The KKE, in conditions formed by Churchill's speech in Fulton about an "Iron Curtain" (March 1946), the Truman Doctrine (1947), the Marshall Plan (1947) and the foundation of NATO (April 1949), completely fulfilled its internationalist duty towards the working class and the other communist parties, with enormous sacrifices and in a unique way in capitalist Europe. The major internationalist contribution of the KKE and DSE is demonstrated by the fact, amongst other things, that two strongest imperialist powers, G.Britain and the USA were forced to actively turn their attention to the armed people's movement in Greece, to finance the domestic bourgeoisie so that it could stand on its feet and engaged in its political and administrative affairs in order to shore up its state. The DSE functioned as a shield for the People's Democracies of Albania, Yugoslavia, Bulgaria and Romania in the crucial period from 1946 to 1949. The All-Union Communist Party of Bolsheviks (CPSU) and other communist parties stood at the side of the KKE and assisted the DSE in many ways, and also in terms of dealing with the consequences of the organized withdrawal of the DSE's forces after the final battle on Grammos. They welcomed and sheltered 25,000 children (who were literally saved from hunger, bombs and the "reformatories" of Queen Friederiki). Later on, they welcomed tens of thousands of political refugees, who found warm hospitality, work, education, culture and security for themselves and the younger generations of political refugees in the states of socialist construction. Significant international solidarity with the DSE was also developed by the labour-people's and communist movement in capitalist countries. One of the expressions of this was the visit of the French delegation, which included the great poet Paul Eluard, to Free Greece and the General Headquarters of the DSE in 1949. These acts were an expression of internationalist solidarity and support, even if this was expressed in an uneven way amongst the communist parties. The DSE was founded, developed and was active immediately after World War II, whose end was accompanied by turnarounds in the alignment of international capitalist alliances. Despite the significant change in the global correlation of forces in Europe and Asia in favour of the communist forces, it still remained in favour of capitalism, centred on the USA. Indeed, capitalism strengthened its positions, entering a phase of reconstruction and declaring a "Cold War" and attempting to undermine the Communist Parties that were in power. In these conditions, the international communist movement, primarily the Soviet Union and the Communist Parties of Socialist Construction did not maintain the same stance over the entire period of the DSE's struggle as regards the generalization of the armed struggle in Greece. The differing stances of the Communist Parties in power was related to how they assessed the intentions and plans of the former allies in World War II, mainly the USA, towards the burgeoning formers of workers'-people's power in the Balkan countries and other countries in Central And Eastern Europe. In the first phase, they considered that the generalization of the armed struggle in Greece could function as a pretext for a global conflict, which they sought to avoid. Later on, after the further hardening of the USA's stance, with the Truman Doctrine and the Marshall Plan, the generalization of the armed struggle in Greece had their agreement, but was not accompanied by the corresponding assistance. The issue of the stance of the international communist movement towards the DSE will be fully illuminated through access to the necessary and still unknown archive material. The sharpening of the class struggle at an international level did not find the international communist movement organizationally and ideologically and politically prepared. Indeed there was an intense confrontation being waged within its ranks. The detachment of 8 countries from the imperialist camp after 1945 (Bulgaria, Romania, Albania, Poland, Hungary, Czechoslovakia, GDR, Yugoslavia) was not a confirmation of the international communist movement's strategy. The decisive liberating role of the Red Army was a determining factor in these countries as well as the strengthened position of the Soviet Union after World war II. In the international communist movement, especially in countries where the communist parties that were in power or struggling for power, contradictions continued to prevail regarding its strategy. Something that was also expressed during World War II. The primary issue was that World War II was not assessed as being an inter-imperialist war on the part of both the sides of capitalist states and the struggle for the way out from the war with workers' power was not declared as a common strategic goal. 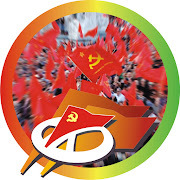 The struggle of the DSE was impacted in this period by the contradictions and weaknesses in the strategy of the international communist movement, and therefore of the KKE. Our party could not draw correct conclusions from the course of the EAM movement during the occupation (Lebanon and Caserta Agreements, the political line of "National Unity") and December 1944. The political governance, which was called "a government of the people" in the Programme of the KKE and EAM and was considered as a transitional step to socialism, was utopian. Despite all this, the DSE had the potential to be victorious, with the precondition that the KKE would have carried out the necessary changes to its strategy in 1946 and would have organized the armed struggle of the people and an uprising focusing on the major cities (Athens, Piraeus, Thessaloniki and others).In 1946, the bourgeois army had not yet been reorganized and the KKE and EAM had many organized forces in its ranks. In the same period, many thousands of communists and other supporters of EAM were free and the bourgeois state had not yet emptied the villages. However, the leadership of the KKE, even if it did not agree with the position of the international communist movement (Stalin, Dimitrov etc) in favour of EAM participating in the elections of 1946, did not decisively and promptly organize a generalized armed uprising. Later on, the KKE, clear that the armed struggle was not being carried out to act as a secondary means of pressure for "smooth democratic developments" (the course of events itself confirmed this) attempted to accelerate the generalization of the armed struggle. However, the passage of time worked against the effectiveness of the DSE in the final confrontation. The problem of reserves was also a significant one for the DSE. 70 years afterwards, the bourgeois political system is attempting to regroup itself in order to impede the radicalization of the people, to blunt the people's indignation about the war being waged against their needs and gains by the capitalist class and its power, the European Union and the SYRIZA-ANEL government, which operates in the same direction as the previous governments of ND and PASOK. 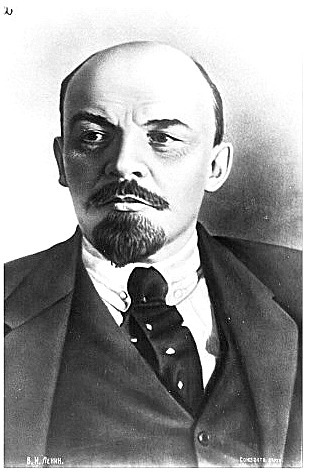 History teaches that there can be no pro-people government, whatever it is called and whatever parties participate in it, as long as political power, the means of production and all the wealth produced by the working class belongs to the capitalists, as long as Greece participates in the imperialist unions of the EU and NATO. The KKE, experienced and drawing on the lessons of its history, aims and can become a beacon for a new and victorious class confrontation for socialism, which is necessary, timely and realistic. Today the KKE assesses that by signing the agreements of Lebanon and Caserta the party and EAM made unacceptable retreats and concessions to the bourgeoisie and the British imperialists in the name of “national unity”, with the result that the subjective conditions were not formed, which together with other factors would have contributed to the victory of the working class and popular forces after the t German fascists were driven out.